Drake gave Sasha Obama a shoutout on Instagram, and we're so jealous! As if Sasha Obama wasn’t winning already as a member of the coolest presidential family to ever live in the White House, Drake gave the youngest Obama daughter a shoutout. Sasha is clearly a Drake fan; she’s wearing a hat from his October’s Very Own (OVO) merchandise line, with the signature gold owl drawn on it. Drake’s also a fan of Sasha’s dad, much like most of the world is. The 15-year-old wasn’t able to attend President Barack Obama’s farewell speech last week because of school, but she and VP Joe Biden’s granddaughter escaped to Miami for some down time last weekend. Sasha may be young, but we’re seeing some serious style icon material in her already. She knows how to be laid-back and cute, and how to glam it up for official events alongside her equally beautiful mother, First Lady Michelle Obama and older sister, Malia. The First Lady has consistently made headlines with her head-turning, classy style, so we can easily see her daughters following in her footsteps as they get older. Sasha’s obviously a fan of the top bun, and we support it. 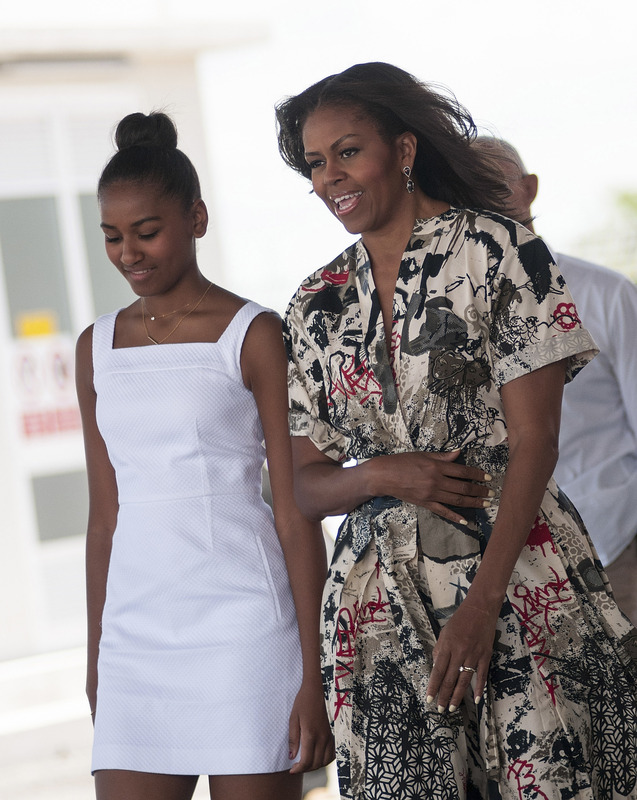 We can’t wait to watch the Obama girls and their style evolution in the next few years!